At Scheyden, we are confident that our precission products are among the finest in the world. Share your testimony – we love to hear from our customers. Please contact us to add your product testimonial. Meet the newest captain for American Airlines, Captain William. 5-year old William has congenital heart defects and wants to be a pilot when he grows up and with the help of Make-A-Wish and American Airlines, his dream became a reality. 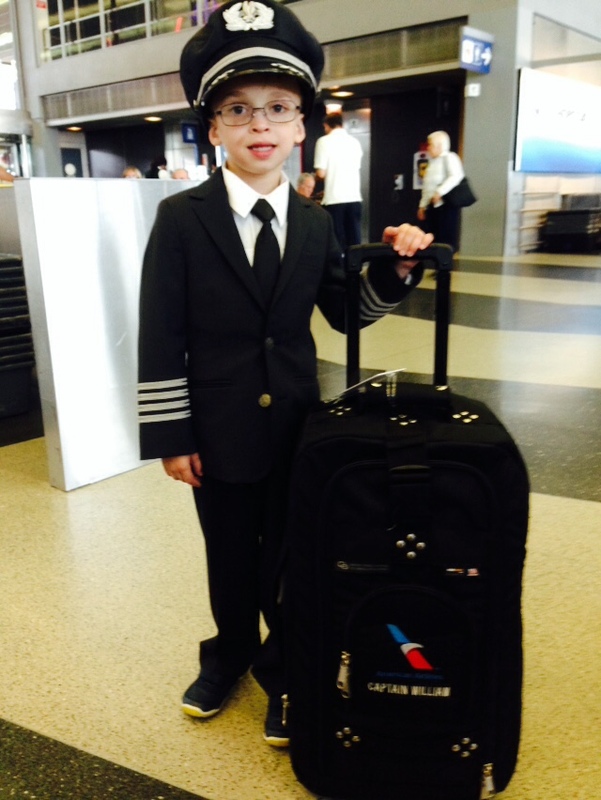 Captain William is seen here with a custom Carry-On bag that Sceyden donated to help complete his uniform and carry his valuables on his flight from Chicago to Dallas. This one of a kind Carry-On has his name specially embroidered right below the American Airlines logo. 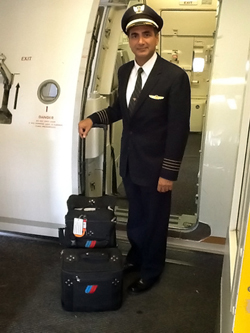 "I have now been using my Club Glove flight crew gear for nearly 5 years and it still looks like new. It's feather light compared to my old Purdy Neat gear, yet seems just as durable." "You know your luggage rocks when the doorman outside of the Bryant Park Hotel in New York City wants to take it for a spin." "What makes the bag so great? It doesn’t roll, it glides, like butter. After experiencing such a smooth roll, it wasn’t easy going back to what can now only be described as a drag. Sorry Travelpro. At 8.8 pounds (the same weight as my Travelpro), it’s light weight and easy to lift into an overhead bin. That’s important considering I spend half my life on a plane and have no desire to have back surgery." 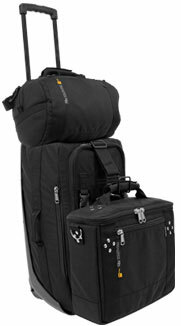 "How much do I like Club Glove luggage? So much I’m thinking about ordering the Train Reaction set (rollaboard, tote, rolling duffle) for my in-laws before their next big cruise. But only if they agree to let me borrow it first!" "Got my new bag and I am loving it!! This bag fits more "stuff" than my Purdy Neat bag and at about half the weight! I love the internal packing bags. The small kit bag will be absolutely perfect for my EFB needs in the cockpit, when given the green light to go paperless. Thanks again for a fantastic product."